Regardless of a company's size or state, one of the top priorities is business growth. Startup companies compete to gain business. Mature and stable companies look for opportunities to win new markets and expand their business. At the end of the day, everyone is looking for more business. Construction marketing requires an effective marketing strategy for the construction industry. You may also use construction marketing tools or a marketing agency. But that can become costly over time. So how do you stay ahead of your competition? Are you using all your resources to market your construction company? Are you using your building plans and drawings as a construction marketing tool? When we ask that question, the answers are usually along the same line. No, we’re not using building plans as a selling tool. We hear owners and executives of building and construction companies say, “Our completed projects are in digital format on a network drive we can all access.” Or “we store blueprints from a company we acquired in our storage facility.” Or “We’ve been around for a long time. Some of our projects are stored as blueprints in our office. Others in CAD format on hard-drives. And the newest ones on a network drive”. And so we go back to the original question. Are you using your completed building plans to win more business? Your portfolio of completed work is one of the best construction marketing tools you have. So why not make the most of it. At America’s Building Records, we put a strategy in place to complement the efforts of your sales and marketing teams. We designed a construction marketing tool to showcase your achievements to the largest audience possible. The ABR National GIS is a repository for building plans and construction drawings at national level. It has an interface on the ABR public website that lists available documents by address. 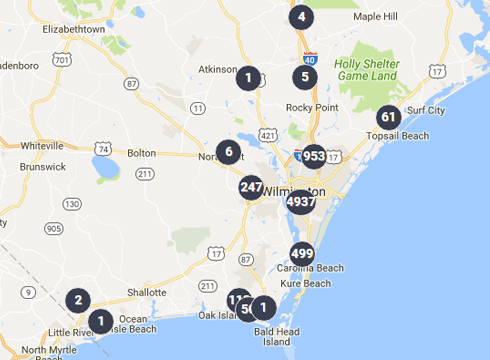 Each address with building information is submitted and indexed by search engines. The ABR GIS becomes a powerful construction marketing tool to showcase your projects on the most used search engines. The advantage of having your project links indexed by address is tremendous. 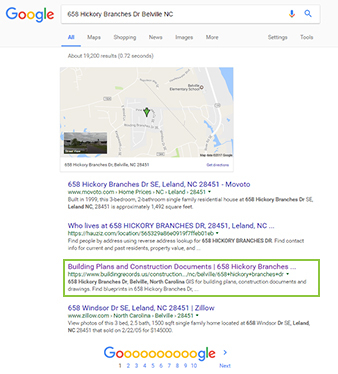 Whenever someone googles or searches an address, the links associated with your building plans will appear in the search results. It’s a great advantage and exposure that the ABR National GIS offers. ABR offers organization members a company marketing page. It is your company’s web page on the ABR website that completes your construction marketing tool. You can use this page to present your services and products, your website, contact information, and marketing materials. Also listed on this web page are the building plans you upload in the national GIS. This way your company's page becomes the complete presentation for your organization. Using your building plans as a selling tool is as easy as one-two-three. If you haven’t done so yet, register for a free ABR organization account. Upload your construction drawings and documents in the ABR national GIS for building plans. ABR does the rest of the work for you. So why not complement the work of your sales and marketing teams and turn your building plans and construction drawings into a powerful construction marketing tool? Register for free today and expand your reach. Want more construction news and tips? Subscribe to our monthly construction update.